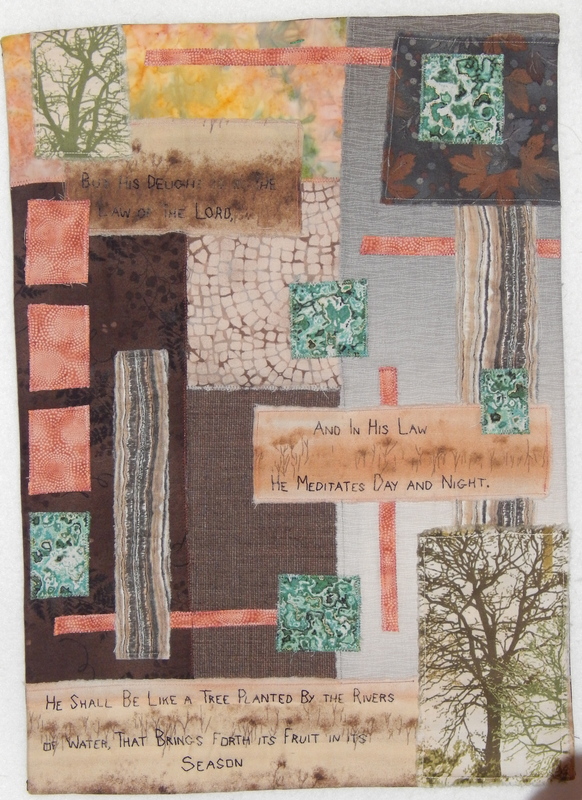 Delight in the Word, 14X20″, Machine pieced, appliquéd, and quilted. Hand embroidered. $100 Description: What better way to start this series than with the words found in Psalm 1?